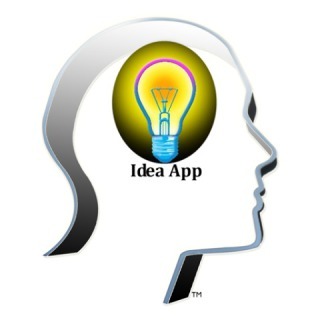 ideaAPP logo: © Thought Development Inc.If I were to tell you that you can get a complete, worldwide patent search conducted on your invention idea for $9.99, you would think I just swallowed a whole lot of advertising bull. I thought it was too good to be true too, so I went to the source, the company that owns and offers the ideaAPP for Apple and PC products, and asked the founder an irritating amount of questions. He answered. Indeed the founder and chairman of Thought Development Inc (TDI), inventor Alan Amron, answered all of my disbelieving questions in the affirmative. Yes, the ideaAPP does conduct a worldwide patent search. And, yes, it gets the information back to you in seconds. Not weeks or months. But that's not all. The ideaAPP, which itself is patent pending, provides a place for you to document your invention, that invention notebook you've been cutting and pasting from napkin drawings and envelope scribbles. The ideaAPP search response comes in a digital notebook, providing links to sources, such as patent attorneys, prototypers, marketing companies and other contacts you will need to develop your idea. ideaAPP on iPhone: © Thought Development Inc.
Amron says that TDI doesn't even see your documents unless you want it to - and you pay extra for that, of course, as you would for the company to file a preliminary patent application for you. But the prices are reasonable, especially when you consider that professionals are doing this work for you! TDI will also consider commercializing your invention or recommend other options for you. 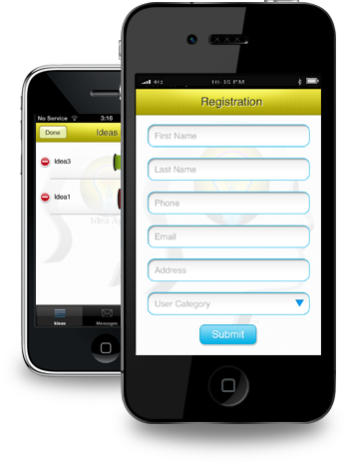 Security for your idea is protected by the ideaAPP software, and you are further protected by a non-disclosure from TDI that you receive as soon as you sign on - before you even enter anything but your email address. And I will say, from all the non-disclosures I've seen, the non-disclosure is pretty inventor-friendly. For more helpful information to inventors, check out our For Inventors home page. What Is Google Planning To Do With DeepMind? Does It Involves Robots? Finally--Bacteria-Created Biofabric That Looks Just Like Human Skin! Just sent in check for 99.00 for patent search. Patenting an invention RADICALLY reduces the chance that it will ever get made. ... Patents are where great ideas go to die. Don't do it. Regardless of whether or not you intend to patent your idea, you should always do a patent search to make sure you are not violating someone else's patent by commercializing your idea. Nick Taylor, in his above statement, doesn't sound like an inventor. It's always better to own what you invent, regardless of the final out come. And Myra is correct, regardless of whether or not you intend to patent your idea, you should always do a patent search to make sure your not violating someone else's patent, and to prevent you from spending money on developing your idea only to find its already been done. Don't just invent and spend to develop, search it first to see if its already been done. The ideaApp $9.99 is for a private submission - no one else can see it (that's the purpose of the automatic signed NDA) the submission includes a worldwide patent search, report and documentation of your idea. Unless you submit your idea specifically for our review, we never see it. If you submit your idea for our review, then (and only then) do we evaluate it, and if it meets our extremely high criteria test (reviewed by our evaluation board of highly qualified (in new products development) Engineers, MBA Business people and successful Marketing people, we would then offer the inventor (i) a partnership in their idea of 50% x 50% in exchange for us supplying all the funding, management, protection, prototyping and marketing for the entire process to revenue and (ii) a percentage of stock in our our TDI company for them to share in all other inventors success as well. It's a win win situation for the inventor.